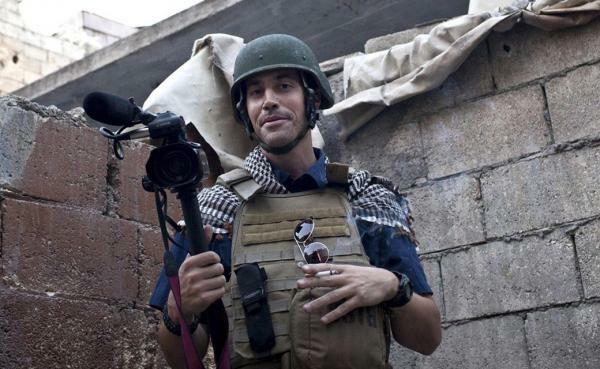 James Foley was a journalist and New Hampshire native who was killed by Islamic State terrorists in 2014. The Trump administration in December decided it’s time to pull U.S. troops out of Syria. But New Hampshire Democratic Senator Jeanne Shaheen is speaking out against the withdrawal. She’s working with Diane Foley, the mother of journalist and New Hampshire native James Foley, who was killed by ISIS in 2014. Shaheen and Foley penned and op-ed for the Washington Post arguing the withdrawal risks a resurgence in Islamic State violence around the globe, and Morning Edition Host Rick Ganley spoke with the Senator by phone about that article. Despite what the president has said, we have not finished the fight against ISIS in Syria. There is still active fighting going on in parts of Syria. And we know that there are thousands of ISIS fighters who have gone back into villages in Syria who are just waiting for us to leave so that they can come out with a resurgence just as we saw after Iraq when they went to Syria and al Qaeda morphed into ISIS. But equally critical, and this is why Diane and I wrote this op ed, is that there are two terrorists who are being held now in Syria by the Syrian Democratic Forces. So there are partners who we've been working with in the fight against ISIS. And we are very concerned that those two terrorists as well as hundreds of other foreign fighters who have been detained in Syria by the SDF, the Syrian Democratic Forces, that they could either escape or they could be released if we withdraw our support for the SDF. Now where do those fears come from Senator? Well the SDF has said that very directly. There have been news reports where they have said if we don't have support -- because we've been providing them support as they've held these foreign fighters in prison in Syria, and mak[ing] sure those terrorists didn't get back out to go into Western Europe, back to the United States and to attack us. So this is critical for a number of reasons, both in terms of influence in Syria, which if we leave, will be left to Iran and Russia -- but especially with respect to some of these terrorists who we have very good reason to believe are the murderers of James Foley and other Americans who were horrifically killed by ISIS fighters. And I know that you and others in the administration have been trying to bring these accused people back to the U.S. for trial. And you say in your op ed that the clock is running here. If a withdrawal happens, we could lose the chance to bring them to justice here in the States. Well that's right. We have been working with the Trump administration who have been supportive of the idea that we need to bring back these terrorists, try them in civilian courts in the United States, and get justice for James and for the other Americans who were murdered. I know we've spoken with James Foley's mother here on Morning Edition, and she said that her fear is that they could become martyrs for their cause if not tried in a country like the U.S.
That's right. ISIS has been very clever at presenting their terrorists as martyrs to many in the Islamic world, and we don't want that to happen here. We want to get justice for James [and] for the other Americans who were murdered, and we think the best way to do that is in civilian court in the United States. What are members of the Trump administration telling you? What do members that have been working on this for a while now have to say? The picture is not clear because the position of the president has been all over the map in terms of Syria, no pun intended. We have heard one line from the president. We've heard Ambassador John Bolton, the national security adviser, say another thing when he was in Turkey. We've heard our military say that we are beginning the troop withdrawal despite Trump saying we've already started withdrawing troops. We've heard from people in the military who have said we have not finished the fight against ISIS. And we've heard from the president that the fight against ISIS is finished. So we're hearing a lot of different conflicting information, and what we want to do is make sure that they are continued to be held in prisoner detention so that they can be brought to trial someplace. Can we point to a specific reason of why that has not happened yet? First of all, we had to clarify what the situation was with the two terrorists there. We want to make sure that if we're going to bring them back to the United States that we have a case that can convict them. There has been intelligence collection that has been going on so that the Justice Department can build its case. And that is still ongoing, and we're waiting for some information from England who had some additional information. So this is gathering evidence throughout various countries of course in order to bring the case before bringing them into to a court of law? Are you worried that this is just not a priority for the president? I'm worried that we don't have a consistent policy in Syria, and we have not had a consistent policy in Syria since the civil war began. New Hampshire Democratic Sen. Jeanne Shaheen and the mother of slain journalist James Foley are urging President Donald Trump to continue prioritizing justice for Americans lost in Syria following his unexpected decision to withdraw U.S. troops from the country. Two Islamic State militants, who belonged to a terrorist cell that held and killed freelance journalist James Foley, were captured in January. Foley's mother Diane does not want the militants executed and is calling for them to be brought to the U.S. to stand criminal trial. Morning Edition Host Rick Ganley spoke with Foley about how she would like to see the two men brought to justice.